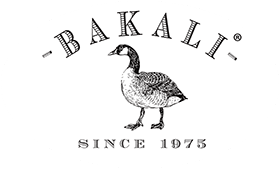 Home→Articles→Bakali adds Quinoa and Chia in their products! Bakali is improving its unsalted rice cakes by adding Quinoa and Chia seeds into the recipe.Quinoa is a grain crop that is produces edible seeds that you can use in your dishes to make them more healthy. Several studies have confirmed that Quinoa has remarkable nutritional properties, it contains more lysine (an amino acid that most plants lack) than other cereals. It will deliver more energy to your body then most plants or alternatives will deliver, that is why it is called “super food”. Another super food we use in our products is Chia, Chia is easy to digest when prepared properly and is easy to use in several dishes. Aztec warriors ate them to get a energy boost, this energy boost lasted for a long time, one spoon could provide them with energy for 24 hours. That is why Chia means “strength” in the Mayan language. Except that, Chia promotes benefits like a healthy skin, supporting heart and digestive system, they are linked with reverse diabetes and a lot more! 1.Both Quinoa and Chia contain no gluten. 2.Quinoa‘s amount of fibre is twice as high in comparison to other grains around 16-28 grams per 150 g cup. Same goes for Chia seeds are which 40% fibre, by weight. This makes them one of the best sources of fibre in the world! 3. Both Quinoa and Chia are good for your bones. They have high level of nutrients like magnesium, manganese and phosphorous. Eating quinoa may be as beneficial as drinking a nice cup of milk from the fridge in terms of calcium requirements. 5. Chia and Quinoa seeds are loaded with antioxidants and are an anti-aging agent. Antioxidants and b-vitamins in chia seeds play a great anti-aging role in fighting off pro aging free radicals which degenerate healthy skin cells and contribute to aging and diseases like cancer. Order your healthy snacking alternatives today!